In hindsight, Michael Eric Dyson might have been the person least well-positioned to attack Cornel West about a preference for celebrity over scholarship. In the aftermath of Dyson's blistering 9,000 word assault on West in The New Republic, Dyson has been talking to scores of publications, repeating his charges against West of academic frivolousness and limelight-love. But with every additional interview Dyson gives, he conducts an object lesson in the old adage about people who live in glass houses throwing stones. Dyson makes many points over the course of his polemic against West, but a recurring theme is that West has neglected his scholarship, producing thin and ghostwritten volumes instead of making a serious contribution to his discipline. While praising West's first books as "a marvel of rigor and imagination," Dyson writes that "[e]ven a cursory survey of West's recent work captures the noticeable diminishment of his intellectual force." The problem, for Dyson, is that West spends his time hanging around celebrities rather than producing serious academic output. Yet nearly every part of these charges could be applied with equal force to Dyson. Dyson attacks West for reducing his volume of production and writing with co-authors, when Dyson's most recent book came out five years ago and was a co-authored book about Nas. He criticizes West for egotism and for releasing books of his own quotes, when he Dyson himself published Can You Hear Me Now? : The Inspiration, Wisdom, and Insight of Michael Eric Dyson, which features no less than four photographs of himself on the cover. Dyson is particularly scornful of West's books of interviews. In an interview with Ebony on Friday, Dyson said: "You've been interviewed in your own book? Dude, stop." But Dyson might want to check his own bibliography. He's the man who literally bundled a collection of transcripts of his television interviews between hard covers. It's hard to see how Dyson squares his contempt for interview-books with the existence of Debating Race with Michael Eric Dyson. Strange, too, is the charge of being cozy with celebrities. 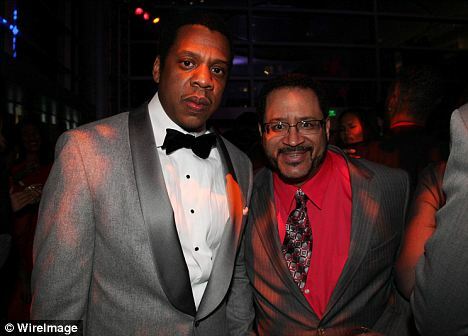 After all, there seems to be no short supply of pictures of Michael Eric Dyson looking giddy at meeting Jay-Z. Dyson even built a course around him. And whatever time he doesn't spend with Jay-Z seems to be time he spends with Nas. With his last serious academic work at least a decade in the past, and with his time nowadays mostly devoted to MSNBC appearances, it therefore seems odd for Dyson to so harshly criticize Cornel West for his perceived failures of academic seriousness. But even if the charge of massive glaring hypocrisy is well-substantiated, what of it? Does it invalidate his case against West? Certainly, it can be perfectly true that both West and Dyson are spending more time on television than in the classroom. But there is also a substantive difference between each man's choice of extracurricular activities. While West spends a large portion of his time in handcuffs on the front lines of protests, Dyson pays visit after visit to the White House. You know when sometimes people ask me, "How come you wasn't at the protest?" Because I was writing about it, I was trying to shape people's understanding of it. I don't have to match arrest records. I have been arrested multiple times... 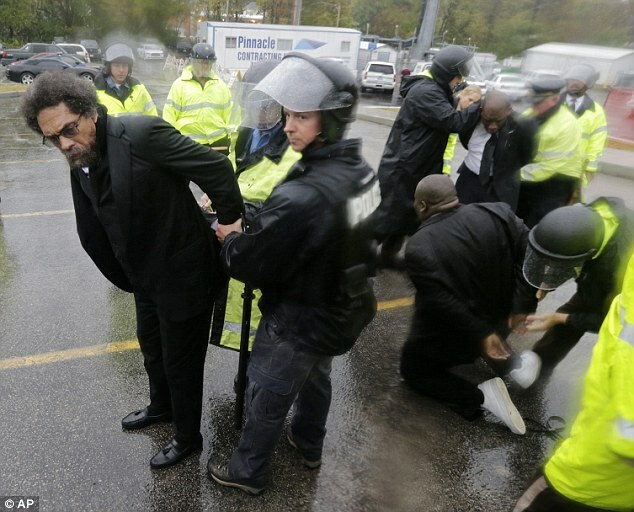 I have been to jail with Rev. James Forbes here in this city over Amadou Diallo ... When people ask, "What are you doing?" I'm writing. Well, "What you doin' for the movement?" I write. I don't apologize for that. There are countless other problems with Dyson's arguments against West, which have been carefully detailed by others. Dyson refuses to address the substance of West's political criticisms, instead insisting that his vehement tone automatically discredits them. Dyson distorts West's Race Matters in order to bizarrely paint West as some kind of conservative. He gives an elaborate theory of why it's acceptable for prophets to hobnob with the powerful, slighting Martin Luther King by pretending King himself was cozy with the White House (he definitely wasn't.) He calls West a misogynist, and insists that West's insults of Dyson mean he does not care about black lives ("West has been assaulting Black people now for six years... Did Michael Dyson's Black life matter?") He unfairly insists that West's exhortation to follow Jesus's example constitutes "comparing himself to Christ." There's been a lot of speculation about Dyson's motives for lashing out at West, but one doesn't need to psychoanalyze Dyson in order to dismiss his barrage of ill-reasoned, grasping vitriol. But the most galling feature of the attack remains the sheer hypocrisy. That's not inherently discrediting; giving someone the tu quoque treatment doesn't do anything to their argument. It does, however, show them to be making it dishonestly. Dyson can't possibly actually have a problem with professors who favor the media spotlight over their scholarly endeavors, since no academic in America eats up more television time than Michael Eric Dyson. Or perhaps Dyson really does believe academics should devote themselves to their research, and perhaps he's right that Cornel West doesn't. But in that case, he has a bit of self-examination to do before he should go about deploying that particular line of criticism. If there is such a thing as egotistical pop-scholarship, or the figure of the media-hungry pundit-professor, Michael Eric Dyson is its epitome and apogee. For him to run down West for these same tendencies is to throw a very unwise stone from a very fragile glass house.